When we meet Whale, he’s softly singing to himself “I've got the Blue Whale Blues, Blue Whale Blues”. Luckily, a friendly Penguin hears him and tries to help. But how do you stop a blue whale from feeling blue? A cute story about a whale with “bike” trouble and a happy-go-lucky Penguin who manages to cheer him up. Blue Whale Blues is a story packed with silliness. But what’s so silly about an upside down bicycle and helmet? Well, Whale’s bike is a shopping cart, and his helmet is a cooking pot! Children are sure to laugh out loud while pointing out Whale and Penguin’s silly mistakes, giving the objects the correct labels and describing their functions (e.g. we don’t put a cooking pot on our head, it belongs on a stove and cooks food). Behind the humour, is a powerful message about how easy it is for us to feel worried or sad about things that seem important at the time until we realise that it wasn’t worth worrying about after all. 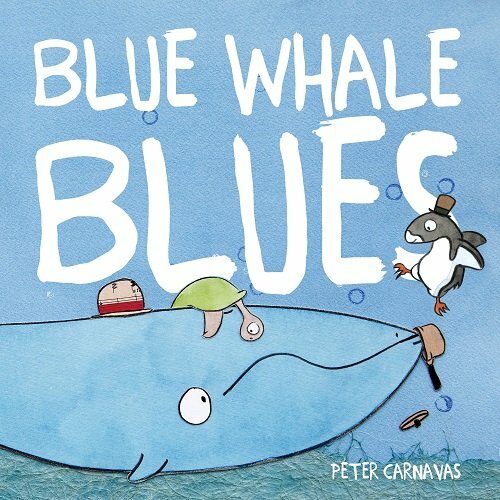 A free audiobook version for kids to sing along to can be accessed via a QR code on the back of the book.The repetitive Blue Whale Blues song encourages children to join in the story and sing along. This repetition also makes it perfect for targeting the speech sounds /w/ and /bl/ blends. For further speech and language goals in Blue Whale Blues, see the list below.